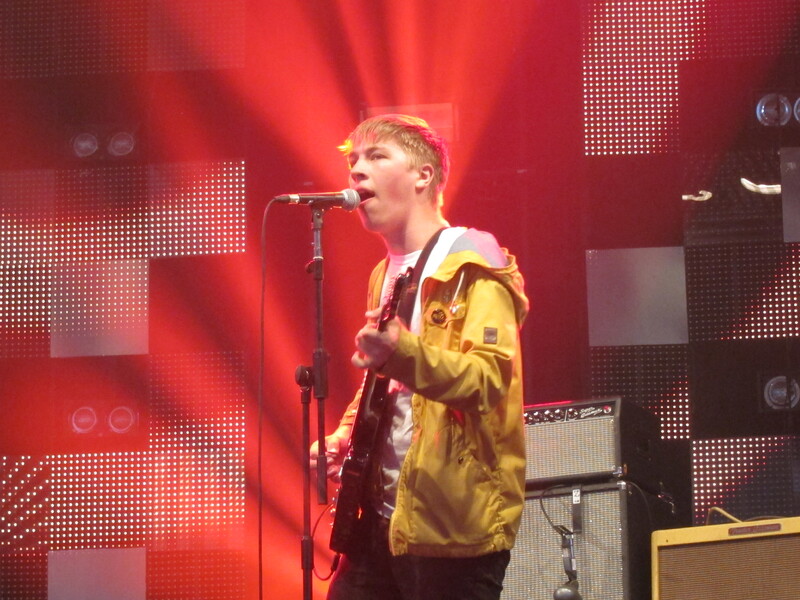 As thousands flooded out of The John Peel Stage having enjoyed a funk-filled set from Jungle, it was the turn of Drenge to restore parity into Glastonbury and demonstrate just how rock n roll sounds stripped back to its most simple of deadly weapons: guitar and drums. 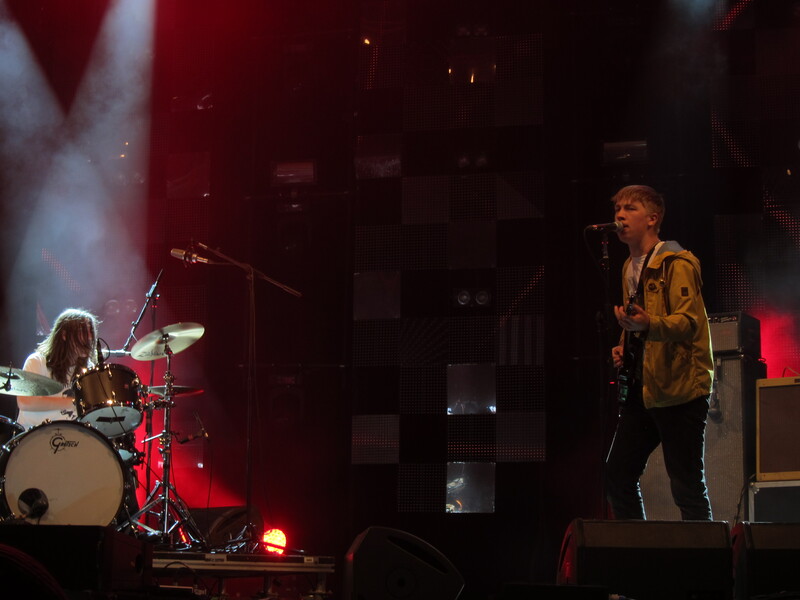 Drenge take rock back to basics and deliver a punch that only two bored teenagers can really manage. The Derbyshire duo, Eoin and Rory Loveless rattled through their best tunes, some from their debut album, including Bloodsports and Backwaters plus some new songs for good measure. Singer Eoin Loveless may resemble Russell Howard’s younger and even more angelic-looking brother, but the fact is the songs are as brutal as their titles: “Gun Crazy”, “I Want To Break You In Half”, “Bloodsports”. Yet, mere brute force is not the whole story as Drummer Rory Loveless is astonishingly good and the brutality is combined with jazz fills, never more so on today’s set closer “Baby Let’s Pretend” which is basically a song constructed around a terrific drum solo. 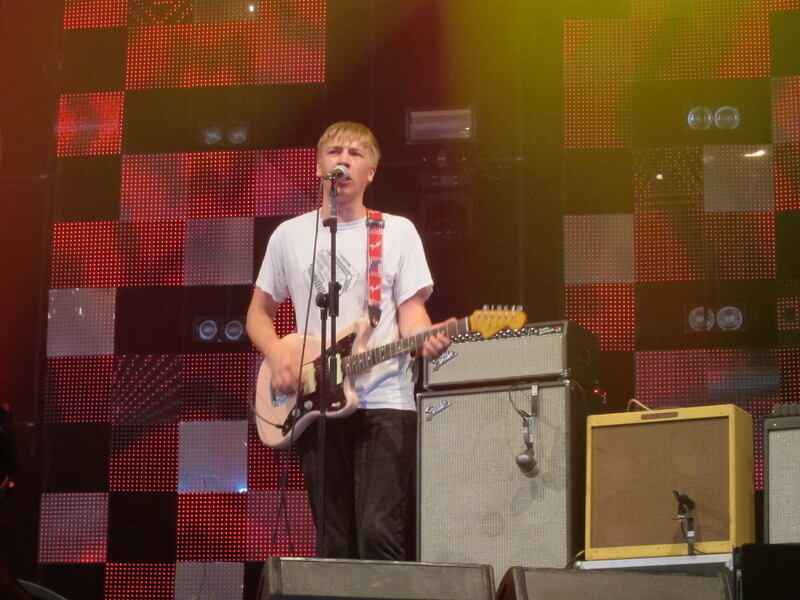 Drenge stormed the John Peel Stage. 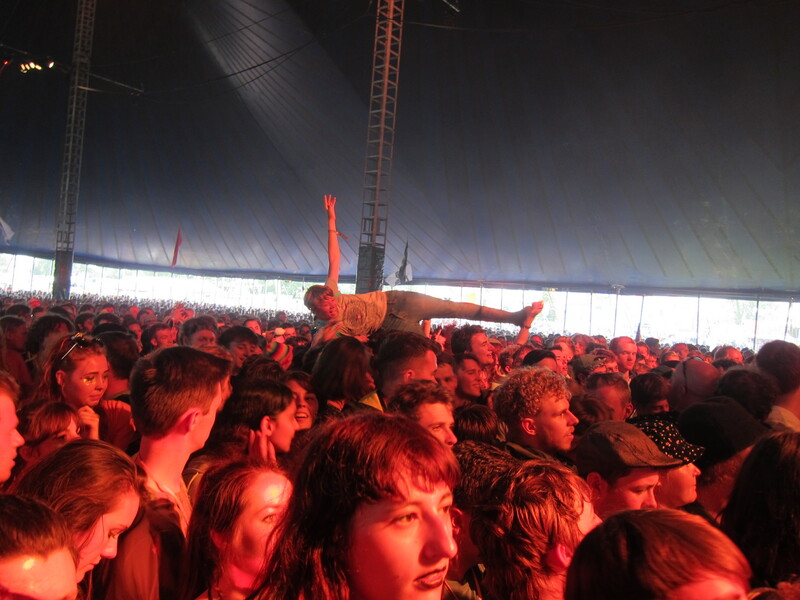 The crowd moshed themselves into a serious frenzy causing the between act introducer to remark “Good to see the mosh pits: We haven’t seen moshing at The John Peel Stage for a long time”. 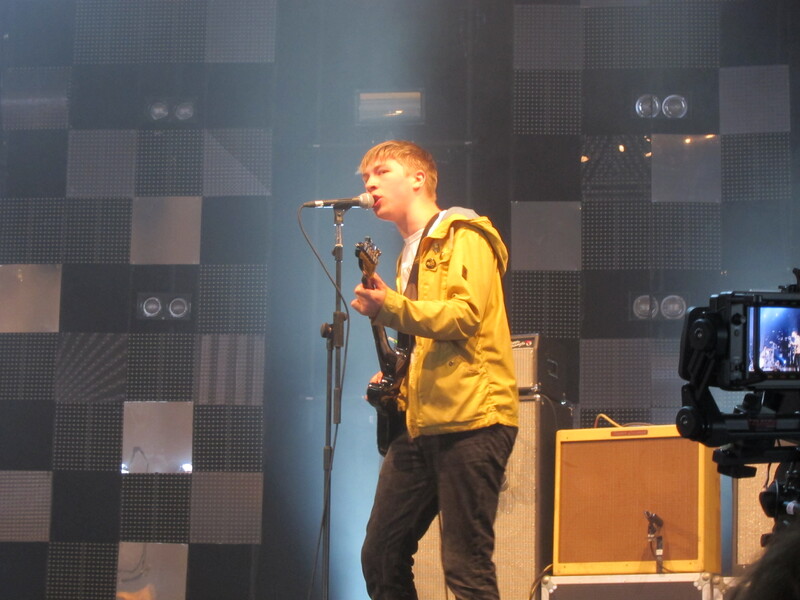 I had never even heard of Drenge here in the States. I read about them in your blog last year and after seeing some You Tube videos (particularly the Session Acoustique OUI FM performance of Bloodsports) I ordered the CD from across the ocean. I love it. Now I pass it to all my music loving friends and say: You HAVE to listen to this. I thank you, they thank me… the circle is complete.